The National Post is reporting that "The cause of the Lion Air crash — and the suspected cause of the recent downing of Ethiopian Airlines Flight 302 — is a little-known piece of software known as MCAS, the Maneuvering Characteristics Augmentation System. The 737 MAX 8 has heavier and more fuel-efficient engines than prior editions of the 737, a change which causes the aircraft to pitch upwards ever-so-slightly after takeoff. Rather than instructing airlines to warn their pilots of this quirk, Boeing simply equipped the MAX 8 with MCAS, a program that would automatically tilt the nose downwards to compensate." "In normal circumstances, the system is not a problem, but it only takes a minor maintenance error to turn MCAS into a deadly liability. 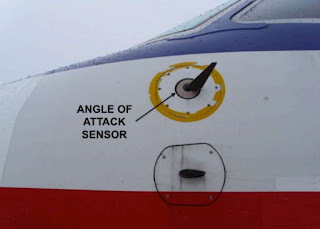 In the case of Lion Air Flight 610, the 737 MAX 8 had a faulty 'angle of attack sensor'; a small blade sticking out of the cockpit that records the angle of the aircraft in flight. 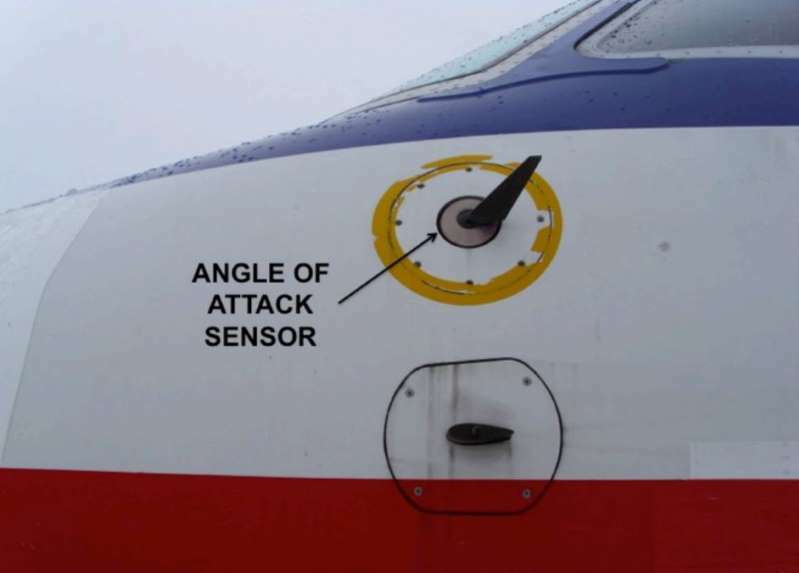 An angle of attack sensor pictured on an Embraer 145." "The sensor was wrongly telling the MAX 8’s flight computers that the aircraft was climbing much more sharply than it was. As a result, pilots were left wrestling with an aircraft that was repeatedly plunging itself towards the ground for no reason. A pilot can counteract the dive by pulling up on the control column, but MCAS will kick in again after only 10 seconds and once again tilt the plane downwards. 'If this is left unchecked (it) can lead to a potential nose heavy situation where it becomes almost impossible to manually raise the nose,' reads a November assessment of the Lion Air crash by Akan Bassey, a commercial pilot and blogger." "Indeed, the final minutes of Lion Air Flight 610 show the plane veering crazily up and down as the pilot fought with MCAS for control of the aircraft. 'The airplane tends to oscillate in this conflict between the software and the pilot,' Garneau, himself an experienced airman, said Wednesday. Ultimately, the Lion Air 737 pitched itself forward 26 times before pilots ultimately lost control."